It’s that time of year again! #TMEA2019 is happening this week and we’re thrilled to be attending what’s bound to be another amazing conference! As part of the conference, we’ll be running a few specials both at our booth and here on our site. Learn more below, and if you’re at #TMEA2019, make sure to drop by Booth 2692! Since Prodigies began, we’ve dreamed of lowering the entry-level price point. However, the Deskbells that we use are high quality and well constructed, and so they’re expensive to manufacture. That why last winter, we invested in an alternative set of bells that’s more compact and more affordable! They sound great and they’re significantly more affordable! And now, for the first time, we’re bundling our new Resonator Xylophones with our most-popular membership, Prodigies Go. 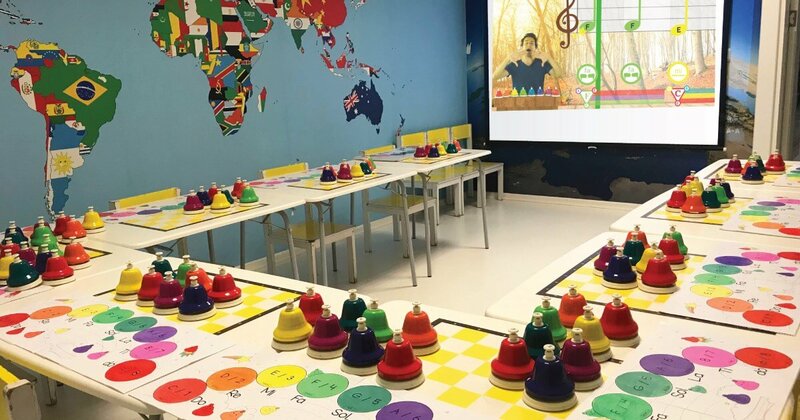 This new Xylo Kit is a low-cost, high-impact pairing that will have your kids playing their way to musical excellence in no time. Plus, we’re putting our monthly membership option on sale as part of this kit, and throwing in two PDFs on top of that (for free). To celebrate TMEA, digital curriculum plans are 33% off this week only! Unlock the Prodigies Music Curriculum with 1 of 4 membership options. These two bigger bundles make great school or classroom kits! Click on the product image to learn more! I was so excited to meet you guys at TMEA! I can’t wait to share with my teacher friends!